Warning: Microsoft Did Not Invent Grammar! Most people who advise on writing tell you to check the spelling and grammar on your work. This is good advice. However, the trouble is that the tools we often use just aren’t up to the job. Many of us use Microsoft Word for writing, and its built-in spelling and grammar checker for checking our work. In general, I don’t have an issue with the spell checker, though mine occasionally has a problem with the correct spelling of liaison. However, the MS Word grammar checker leaves a lot to be desired. I’m not the only one to feel this way. In fact, people have been complaining about it for years. Neurogrammar, which is admittedly biased, compares the results from its own grammar checker and Word. Ignore that if you want, but the Seattle Post Intelligencer, which presumably has no ax to grind, also wrote a piece on the failings of Word’s grammar checker. These match my own experience with the tool. Generally, I write grammatically correct British English, but it only takes one typo to confuse the tool. The grammar checker will remind me about every instance of using passive sentences, but has some strange attitudes to noun and verb agreements. 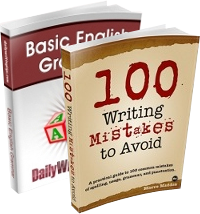 The study concluded that the grammar check worked better for good writers than for those who needed a lot of help. So, what’s a poor writer to do? The answer is to get some grammar help from different sources, and to proofread. Once you accept that the MS Word grammar checker can get it wrong, it’s amazing how many mistakes you will spot. Speaking of Word’s English competence, I was extremely shocked when once it asked me if I wanted to change “they’re” to “their” and vice versa! I don’t if in America these words are now accepted as interchangeable, but in other countries they sure aren’t! I would say that Word, is only a tool for typing and editing, not a tool for language correction. Minor ones that “taht” and “teh” and obviously typing errors, and with a bad or broken keyboard it can be worse. My advice for those who have a recurring problem with spelling certain words is to write them out (ON PAPER!) and then type it into Word to see if it’s correct. If it isn’t DO NOT right click and choose the correct spelling. Re-write it, until you get the correct one. Also, by spelling it out aloud, verbally, like we all did when we were 5 (or 3), will give the brain extra help to remember it. Do this several times, regardless of how time pressed you are and I will guarantee your flow will improve. In fact, I have a friend who does this; he types a word as he sees fit e.g. “conscious” as “concous” and then uses to Word to correct it for him. I noticed that he uses this trick many, many times. Although I told him about my little trick to remember words, he never did it. That was several years back and now, he’s still relying on Word to correct his typos. Even the spell-check can be exasperating if you are trying to write a genre novel, say science fiction or fantasy romance, and you have unusual names for people, things and places. Although there is a private dictionary option, I’m always a little afraid to enter my new words into the dictionary in case I decide to spell them differently later on. As co-ordinator for a writer’s retreat which includes personalized editing for each writer’s manuscript, I also need to edit many different manuscripts, each of which may have specialized terminology specific to that book. Eye dont unnerstan waht u r talkin about. Lok at this sentence. Its find. Years ago, at the turn of the century, MS Word told me that “Millenium” (with only one “n” was the correct spelling). I haven’t trusted it since. Besides reading aloud, another good tip that I perform when proofing a really delicate piece, is to read it backwards, word by word. Just start at the bottom and work your way up, from right to left. This is handy for finding spelling errors that you can easily miss if you’ve been looking at the same sentences for a long time. There, They’re and their are not interchangeable in the US either. Good advice on getting a second opinion, just make sure it is a good source also. Hey, I remember that, KLGrant. I use the reading backwards trick, too. It works well for spelling errors. Of course, you have to read forwards to catch errors in meaning, which is when your first tip works well. Just the title of this post made me LOL! I just installed a plugin that corrects the spelling in the browser! 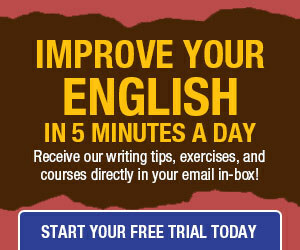 It has really helped me when blogging because English is not my native language! Try to get MS Word to spell check correctly for non-US english. No matter how I setup my PC and MS Office – it still tries to spell colour as color – drives my crazy! @Craig: it can be tricky – I keep having to force it back to UK English! Wow! I was amazed at how many mistakes the spellcheck didn’t find! @ IHanna: Yes, I use a spell check plugin in Firefox which is great when filling in web forms (including blog composing windows). @CYeary: Some of the suggestions are hilarious. @ Kuchiki: yes, and some of the ones it DOES find aren’t mistakes at all. Are there any software solutions to the grammar and spelling problems? Back in the day when WordPerfect was owned by Corel, the spellchecker always highlighted Ottawa as a possible spelling mistake. It just wasn’t in its dictionary. And where was Corel’s World Headquarters? Ottawa, Ontario. @Gayle: I’ve heard of some software that I’m checking out. I’ll say when I know more. I was very excited when I first learned that you could turn off the ‘check as you type’ features for spelling and grammar. It drove me nuts to see red and green squiggly underlines telling me I was wrong all the time, when I really wasn’t! Recently, I had a piece of fiction to turn in for one of my college classes. I wrote it up in a bit of a hurry, and I ran out of time to check it thoroughly. Later on, I was rather embarrassed to see that I’d passed out a story to my entire class with a stupid mistake that MS word 2003 didn’t catch at all. “She looked through door’s the small window.” I’m still trying to figure out how that would make any sense at all. It’s amazing what it misses, Erin. Turning off that feature is a good start. I have always wondered why the people of the United Kingdom and the United States of America constitute a body that could determine one common spelling for each word. I know the United States has no equals in using own standards in almost every sphere of activity. I really cannot understand why the same language must have two different spellings for the same word. Is it not illogical? Sorry for the error in the post above. I do have a problem with sites that do not offer preview before post facility. Below is the corrected comment. I have always wondered why the people of the United Kingdom and the United States of America cannot constitute a body that could determine one common spelling for each word. I know the United States has no equals in using own standards in almost every sphere of activity. I really cannot understand why the same language must have two different spellings for the same word. Is it not illogical? @Jai – There are more than just two different English grammatical systems. Canadian English, for example, has different spellings than both countries. So how are you going to get two (or more) countries to agree on a particular spelling? I don’t see either the UK or the US backing down. I love grammar checkers, but I think that they are useful ONLY if you have a very good command of grammar. I use them to find typos that a spelling checker cannot find. I’ve used the one on Word, and I know that about 80% of the time it is wrong, but if you can always tell when it is wrong, it does catch a lot of nasty typos. BTW, to get the correct spelling on a Mac, you can right click on the word. This brings up the context menu, which also contains the suggestions. It works in Firefox too. Does anyone know of a good grammar checker for the Mac? We probably found 200-250 problems once we were done–both incorrectly spelled words and correctly spelled wrong words. Don’t even get me started on the punctuation and grammatical problems that Word missed! Our advice to clients: Always use the grammar/spelling checker, but never trust it. I don’t want to defend MS. I don’t use Word (which should be called “Bug”), and I don’t use Windows. But spelling and grammar checkers are pretty crude. We simply do not understand grammar well enough to analyze it correctly. Language is one of those areas that requires too much processing power for a computer. The human brain is orders of magnitude bigger and more complex than a CPU. A spelling checker simply flags words that are not in its dictionary. You can use it to warn you before you send out something with inappropriate language. E.g., if you sometimes write business letters (or emails), you might want to remove “idiot” from the spelling dictionary, just to warn you to change it, if it is for business purposes. Perhaps we should remove certain common homophones, so it forces us to think about them first. NOTE: Before you add a word to your spelling checker, make sure that it is not more likely to be typed as a misspelling of a more common word. As a programmer with a B.A. in Linguistics, I can find an example to break any program that tries to analyze language. It’s/Its: Its constantly crashing was the main reason for declining sales. There are grammar checkers in British English. Grammar checkers are only tools that can help you with grammar. They don’t teach grammar to you. I have a Windows Vista Home Premium operating system, but when I am in Windows Mail the spell checker facility appears to be turned off. Can you please tell me how I can install this facility? Much ado about nothing. Trash MS Word and go for some less fussy editor. Jarte? Microsoft Word’s spelling and grammar check feature is irritating. Those who programmed it appear to have no idea of the correct use of the apostrophe, do not allow for colloquial words or common surnames. They do not understand that in Britain you can properly capitalize the first letter of every word in a title. They prompt me to use “you’re” instead of “your” when possession is being expressed and the latter is therefore the correct option. Similarly I am prompted to use “its” instead of “it’s” when abbreviating “it is”. I spend more time fuming over the ignorance of the “tool” that is supposed to be helping me than I save by not personally proof-reading myself. There are tens of millions of English-speakers that do not belong to the American English culture. Surely it is time that Microsoft Word produced an accurate British English spelling and grammar check for many millions of pc users that have for so many years been ignored by Microsoft Word. They do have an option for British spelling but that does not apparently extend to correct British English punctuation and grammar. All of those errors you mentioned are also errors in American English. You’d have a word like color/colour to see if your spelling and grammar checkers were intended for English. Proofreading your own writing is inherently error prone, because you already know what you meant to say, so your mind will often auto-correct it. I’m not saying don’t do it, it’s just that you need several different methods. I think the solution for homonyms is a special text-to-speech preprocessor that changes homophonous words to words of the same syntactic and semantic category, expands contractions, uses synonyms, and exaggerates pronunciations. No, don’t worry about “minute.” The translator chose it, so it knows it’s supposed to be MINN-utt and not my-NYUT. Grammar checker is worse than useless; it’s malicious. And that’s true for American English users as well. It’s not about British versus American (though I’m sure it flags legitimate British uses of grammar that are not common in the US). It flags plenty of American English uses too. It has no sense of how to use apostrophes, for instance. And it sometimes tells me to invert articles so they would appear after a noun. M dashes throw it off completely (it seems to think that you should have a period after an m dash that is used inside quotes to indicate truncated speech). I just turn it off. I worry about people who really don’t know the basics of English grammar. It seems pretty darned useless, because the people who need it the most are the ones who won’t be able to tell when it gives them terrible advice. I’m not nuts about spell checker either. It flags perfectly good English words as non words, forcing me to do a ‘sanity check’ to see if I’m really spelling them right. Adit, grimoire, rictus, weal, longsword and surcoat are just a few. At least you can add words to your own custom dictionary.